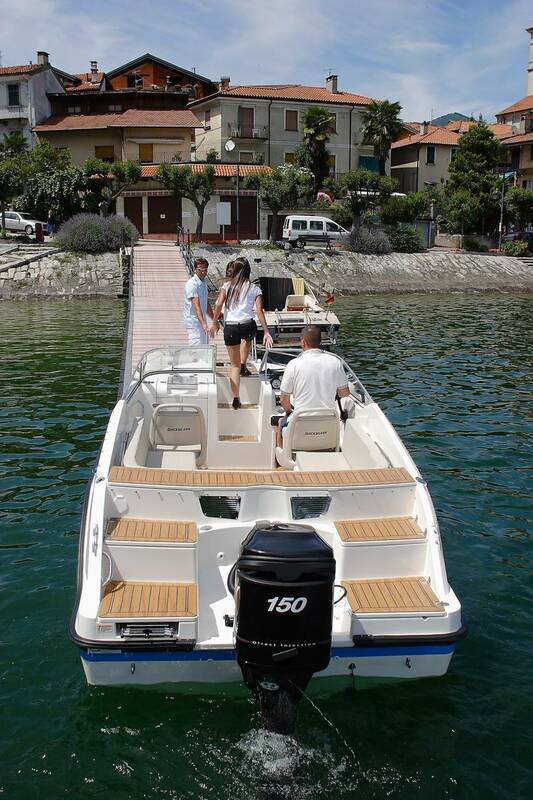 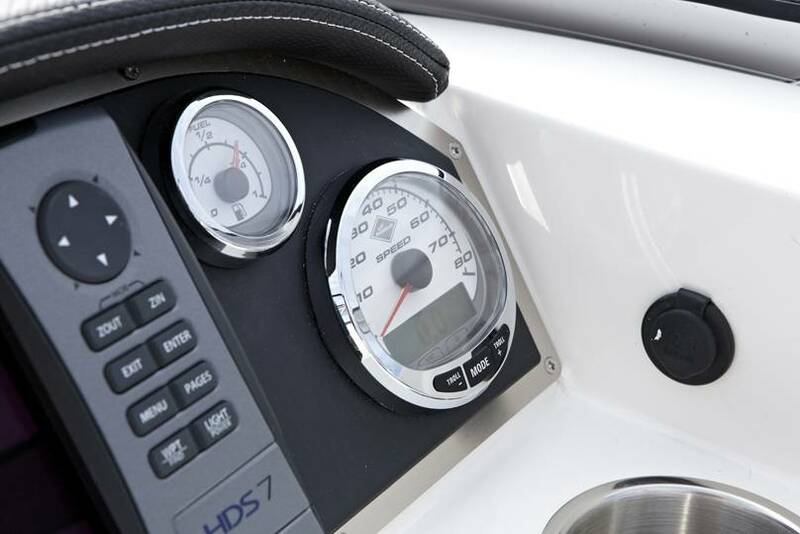 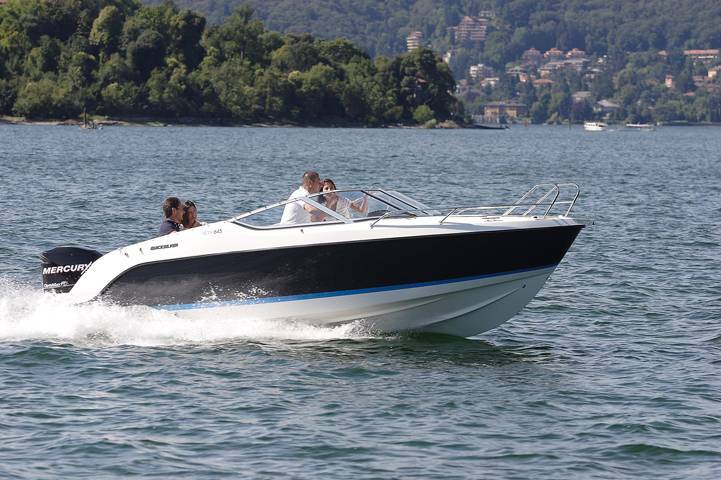 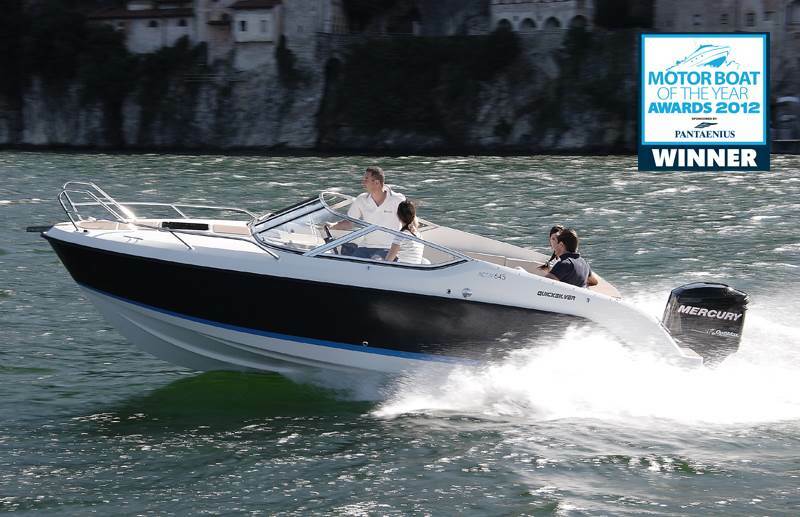 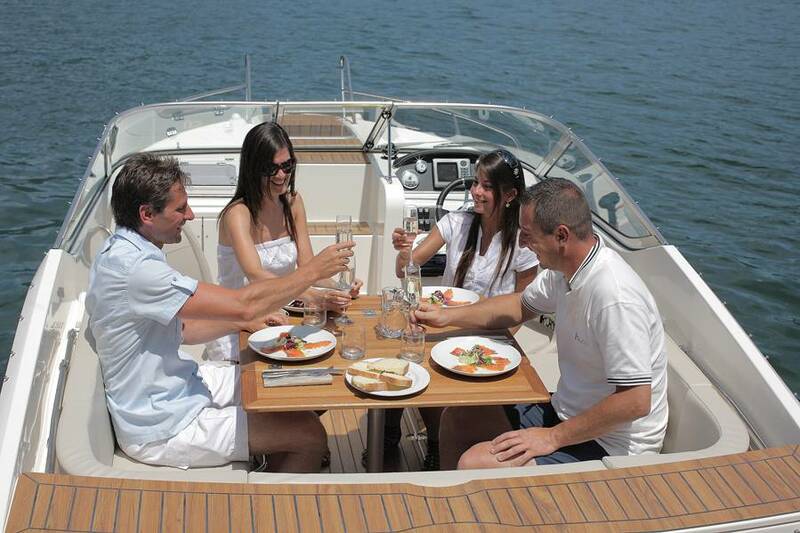 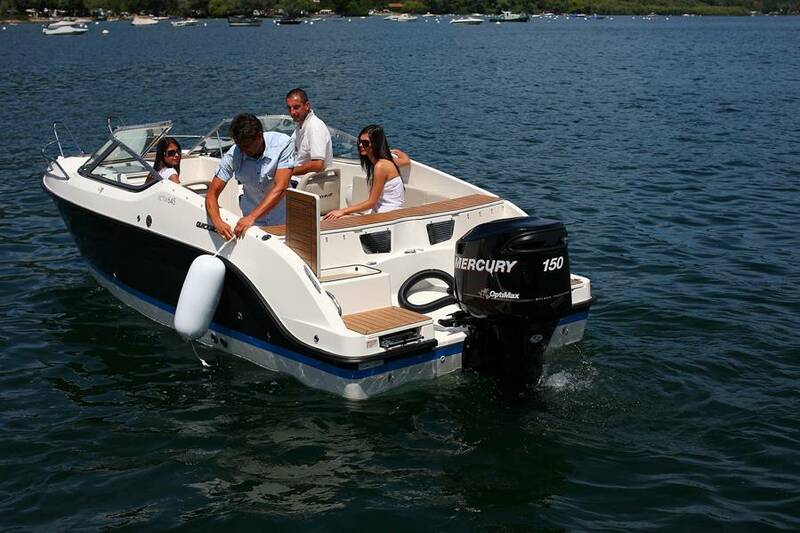 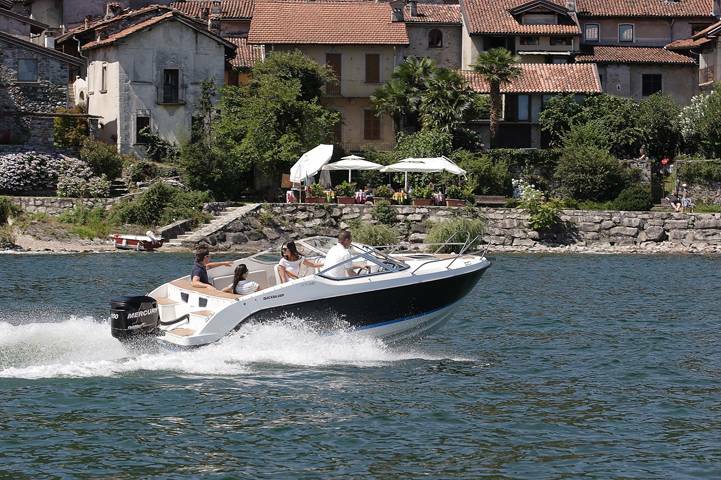 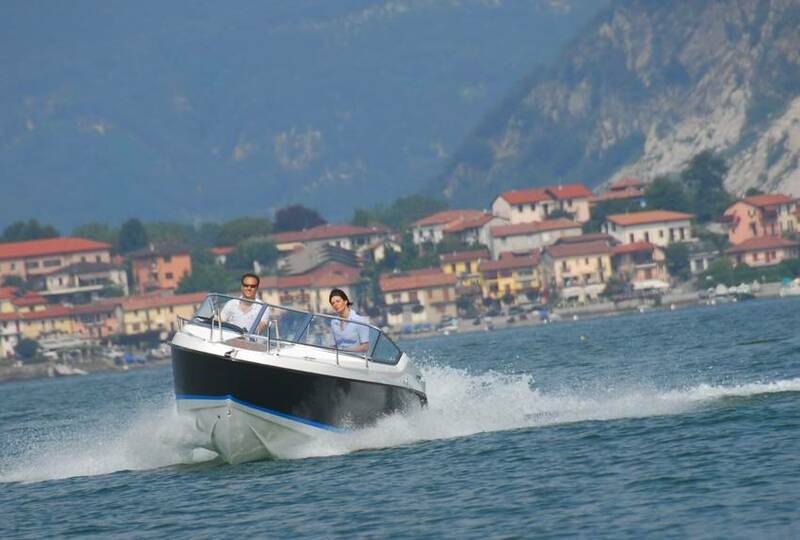 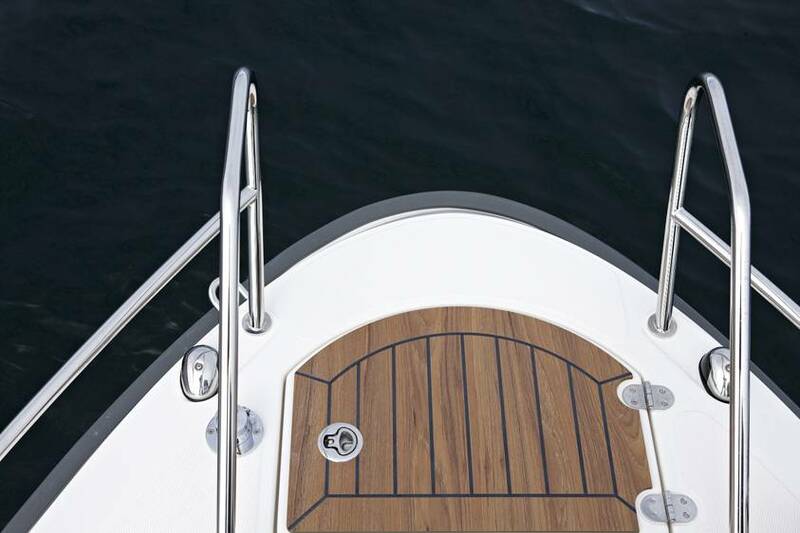 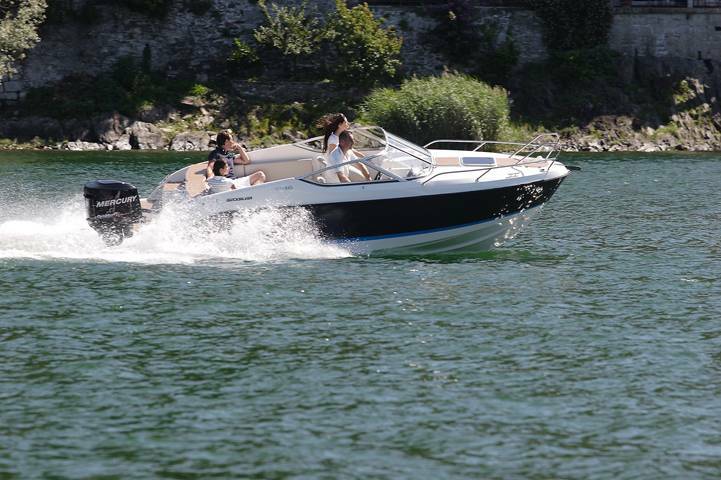 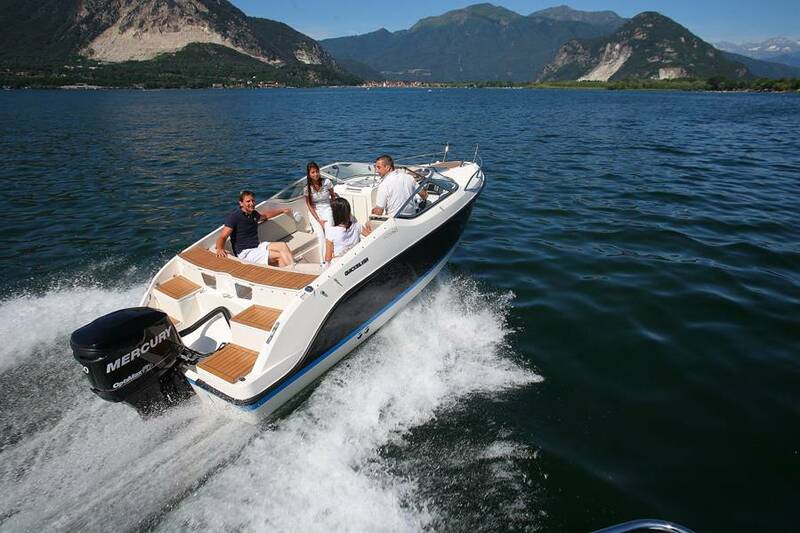 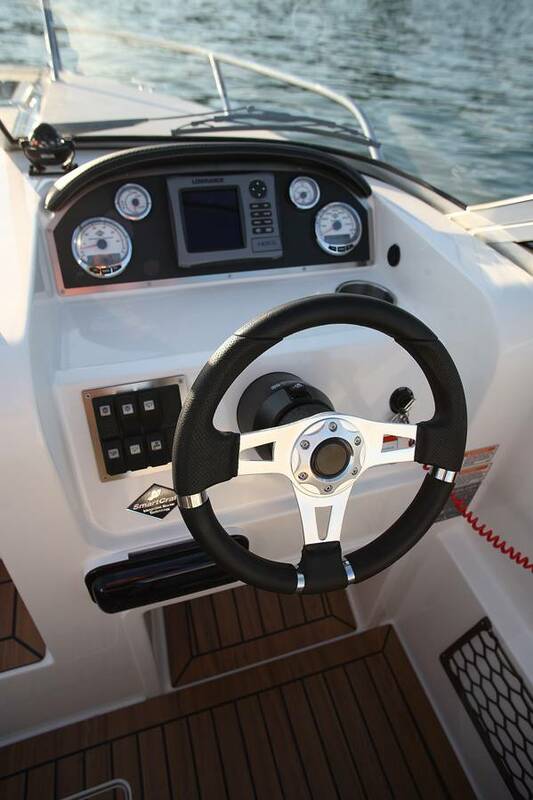 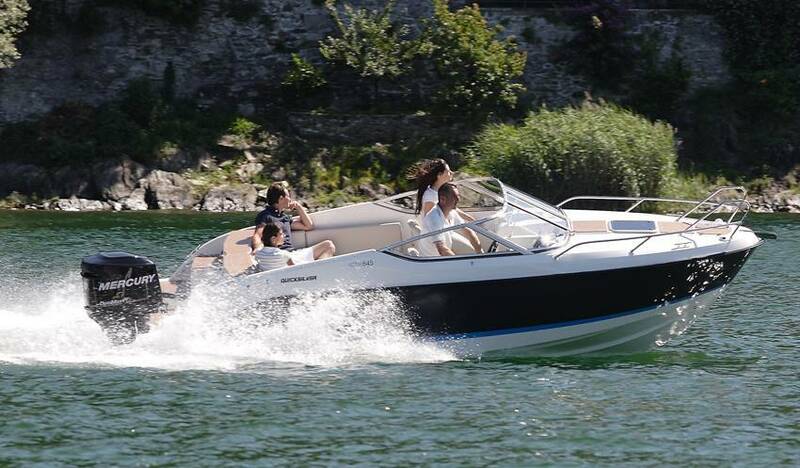 The beautiful contemporary styling of the Activ 645 Cruiser has not been at the expense of safety. 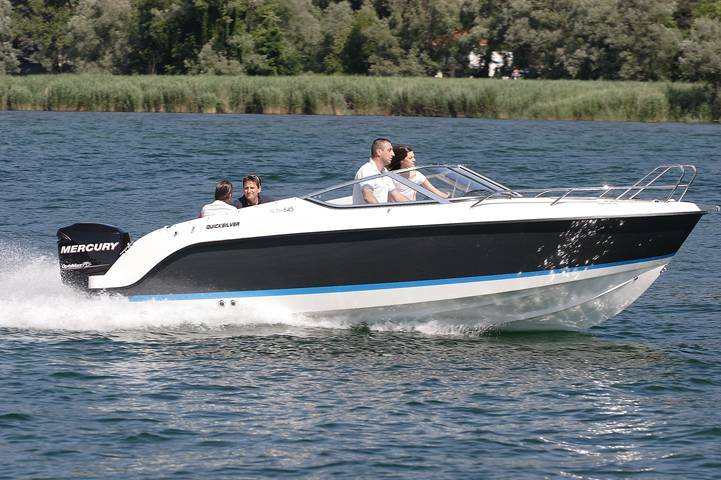 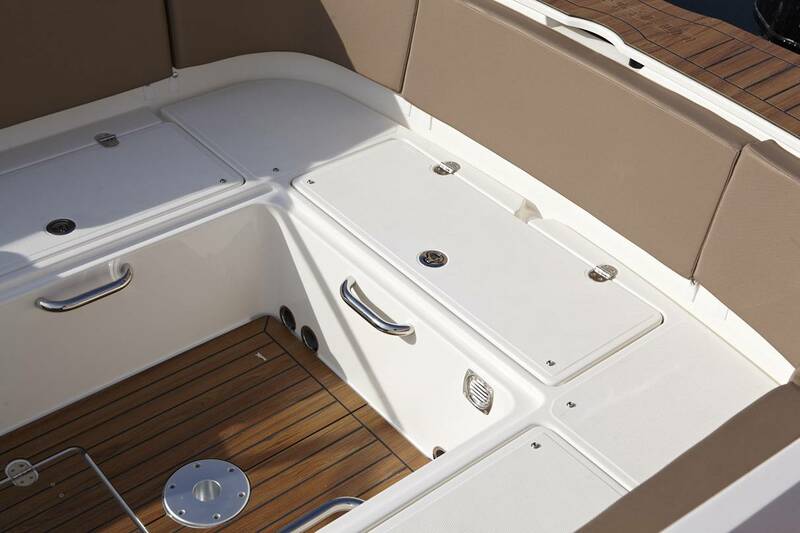 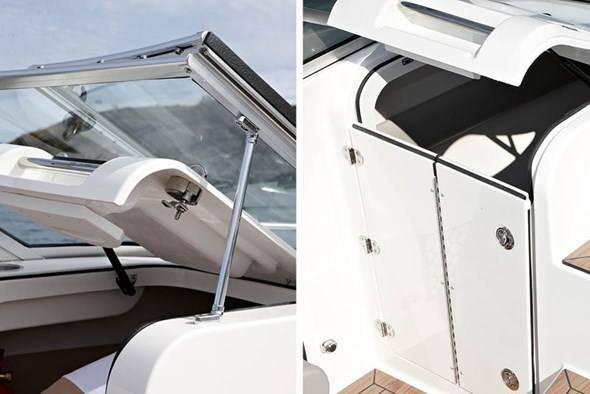 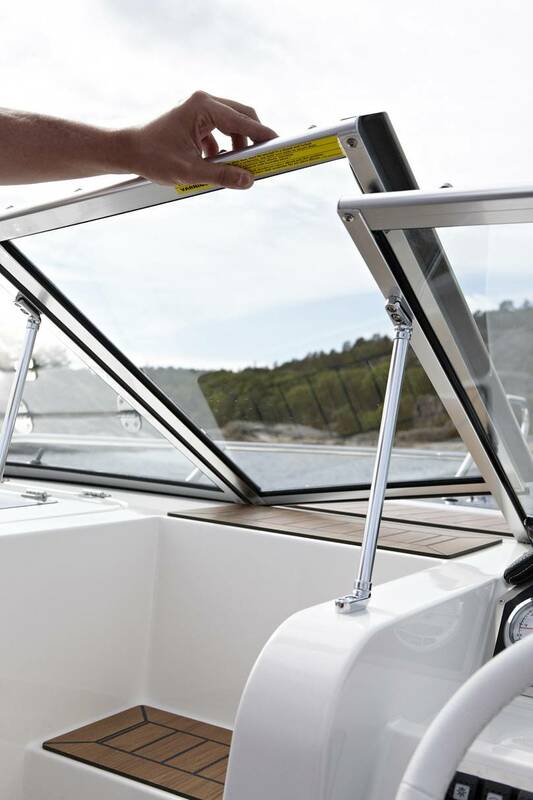 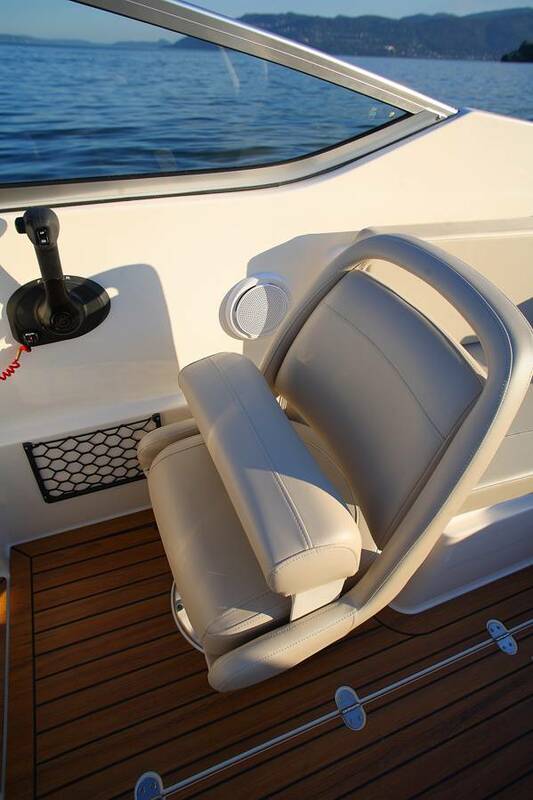 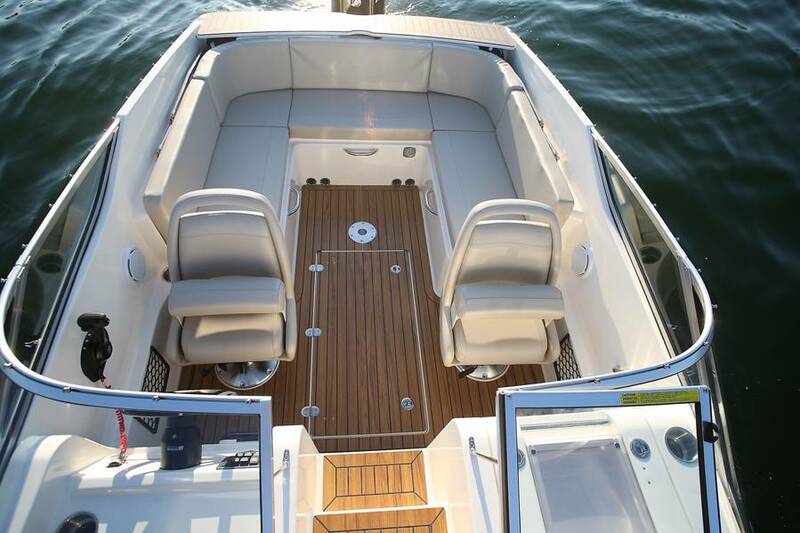 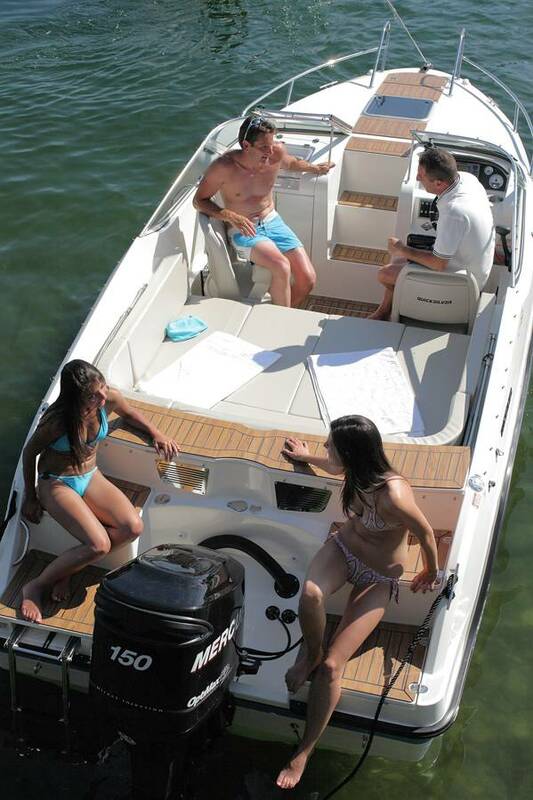 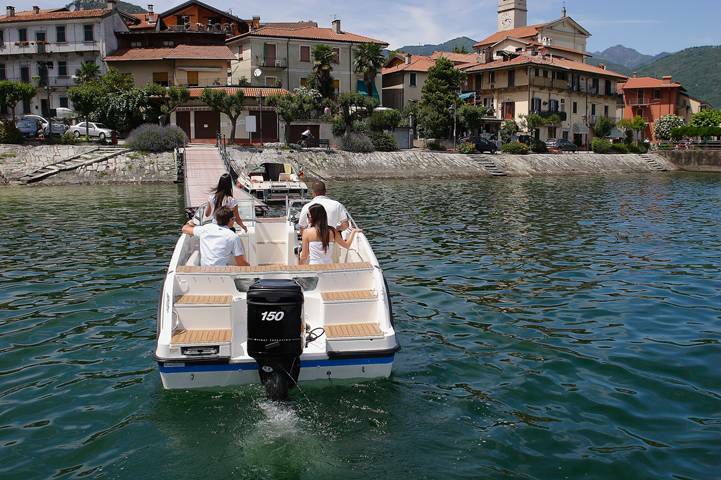 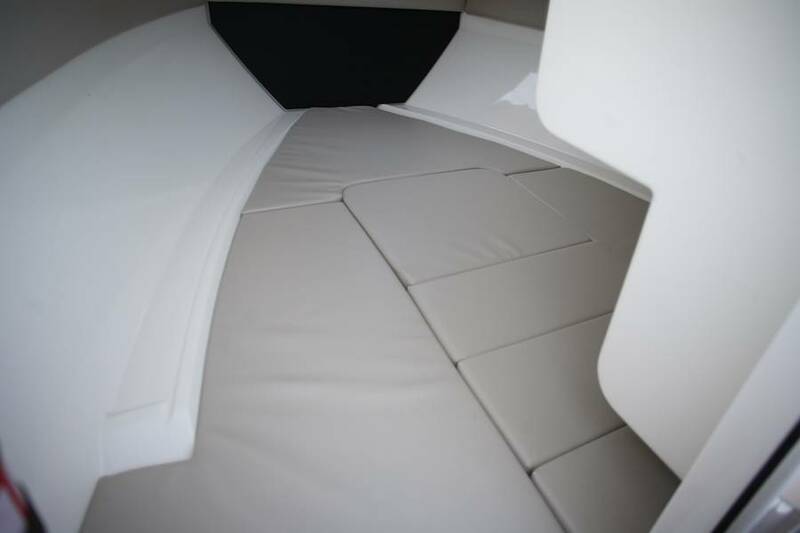 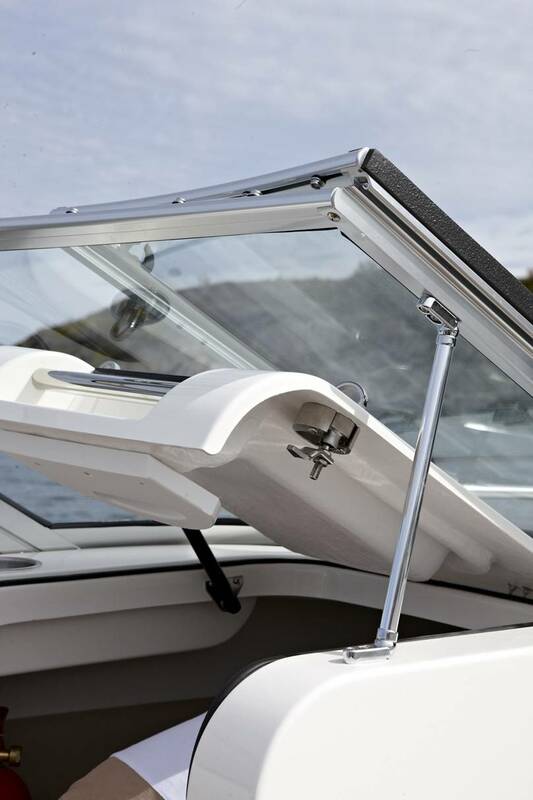 Excellent safety features include easy access in and out of the cockpit along with anti-slip stairs to the water and an anti-slip flat canopy storage surface. 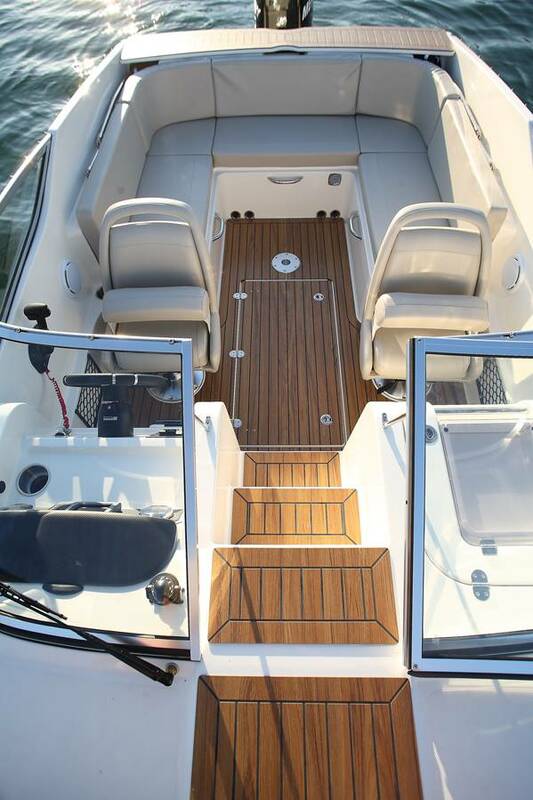 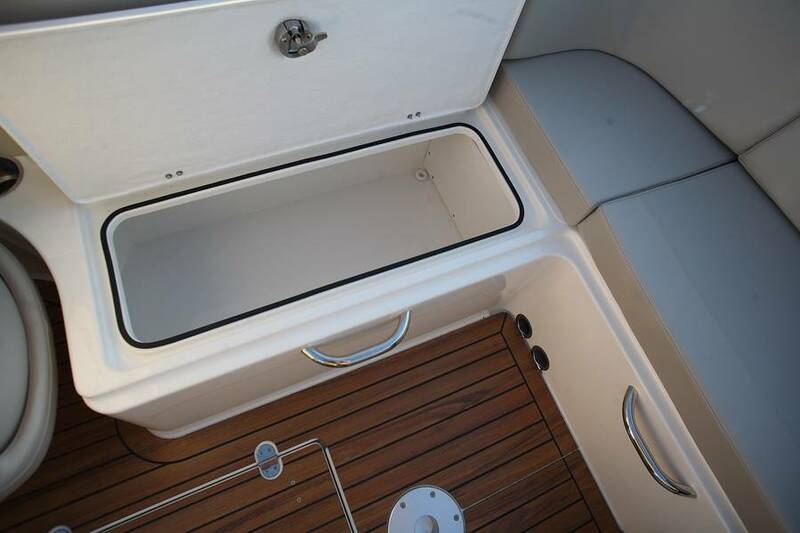 There’s also an extra high freeboard for added safety and access to the bow is via large steps. Good looking and a great experience too. 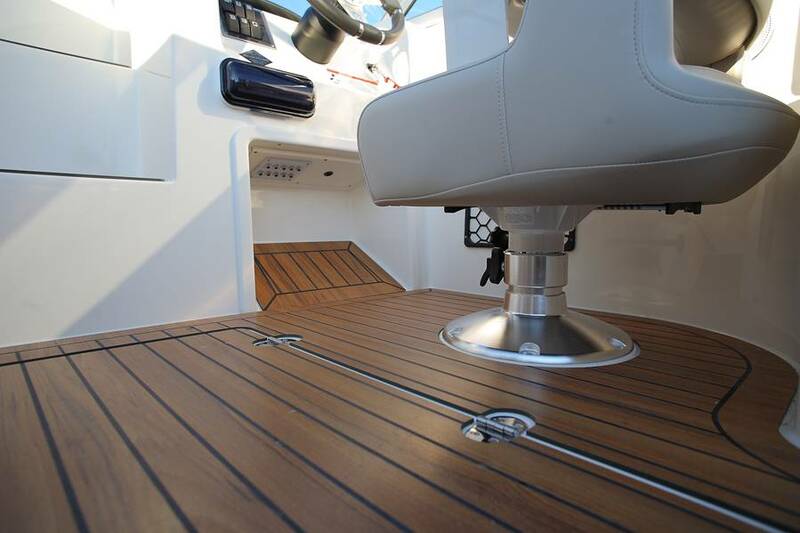 In the cockpit, there are swivel driver and passenger seats and a teak dining table that seats six and effortlessly doubles up as sun lounge. 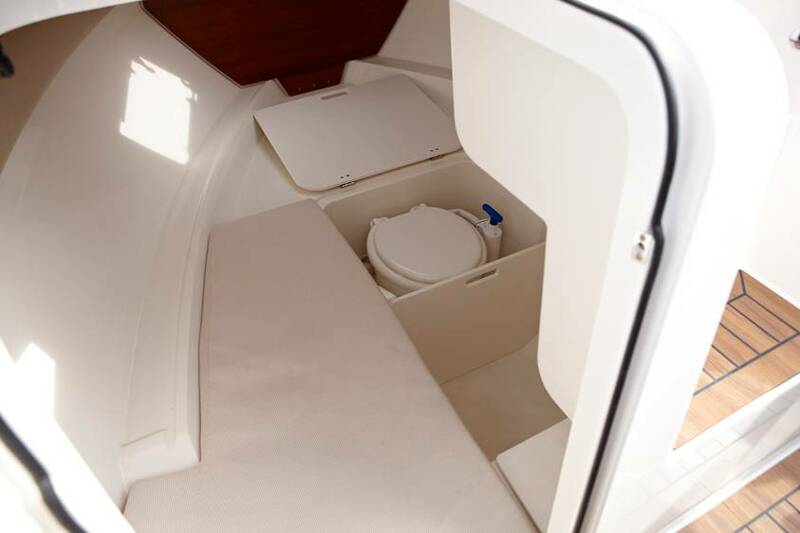 Below deck, the cabin comes with the option of a flush toilet, lateral ventilation and lighting and a seating area that converts easily in to a large double berth. 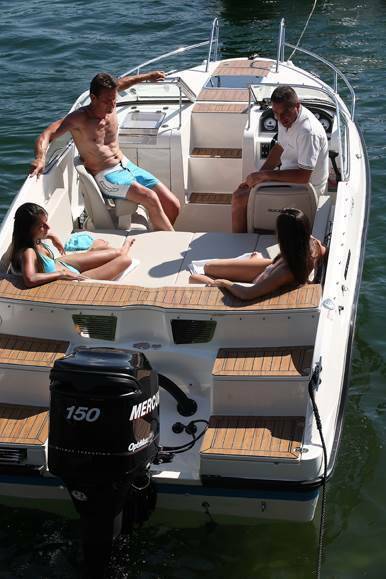 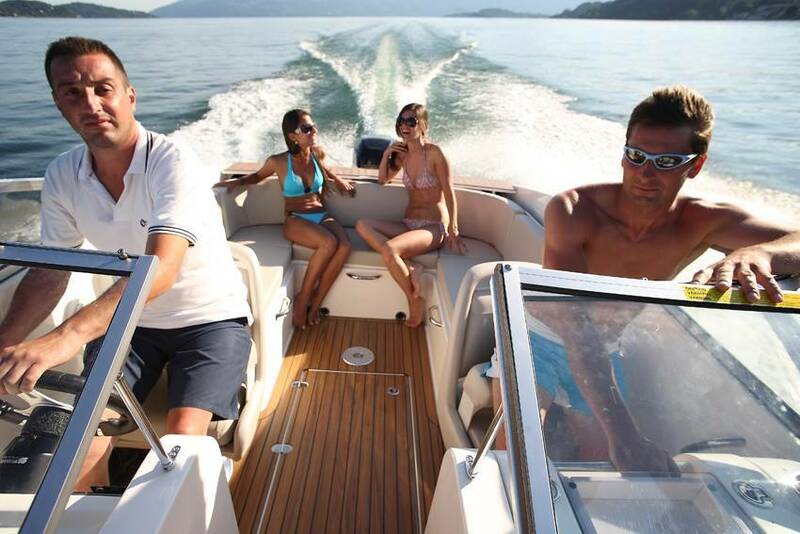 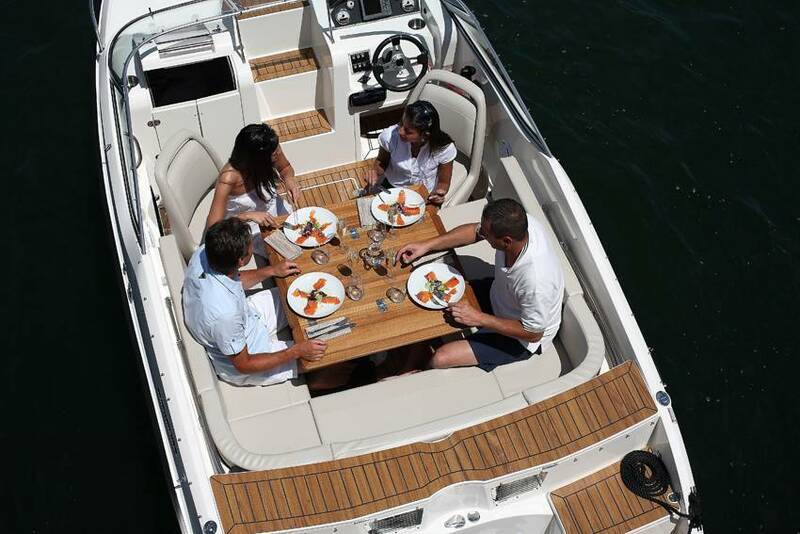 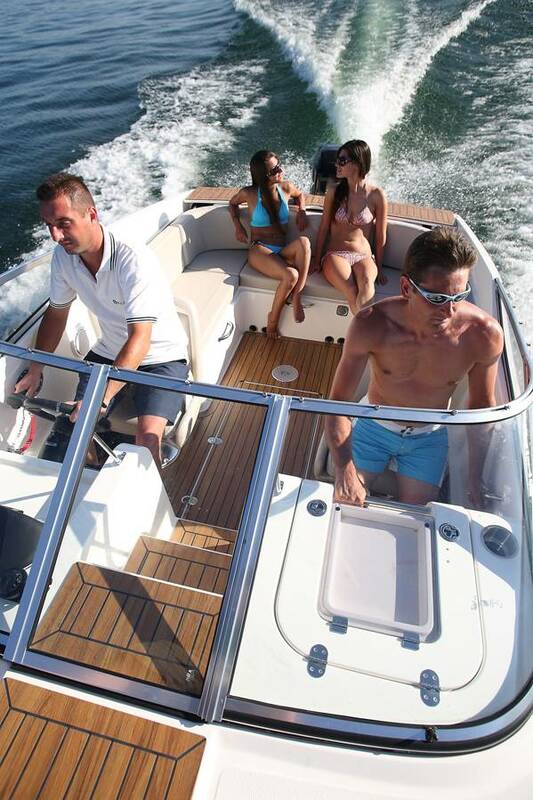 Entertaining, sunbathing or water sports, the Activ 645 Cruiser allows you the flexibility to enjoy life on the water on your terms. 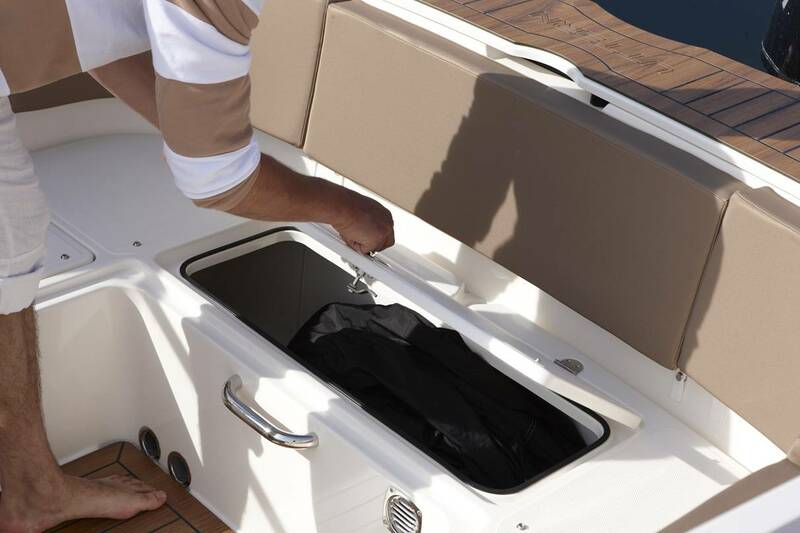 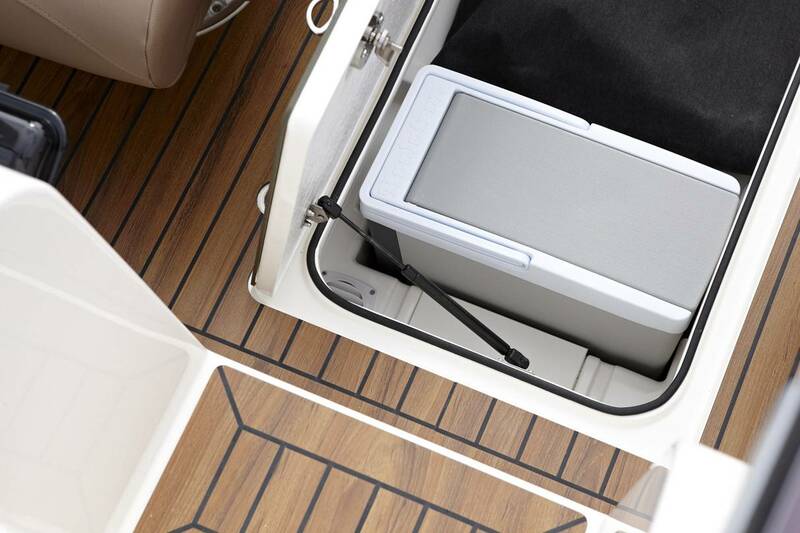 Conveniently stored under the floor hatch, the central cockpit table can be quickly pulled up for dining or a sunpad added to it, to create a generous sundeck area.